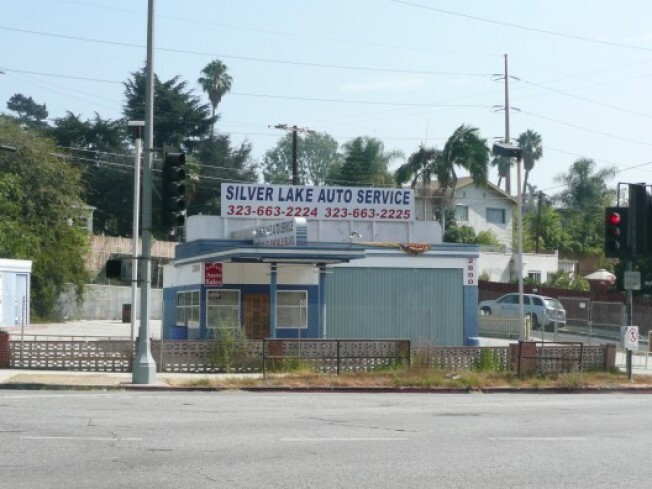 If the city is rife with dead gas stations, this one is believed by some to be special: Silver Lake locals are rallying behind the Richfield Station at 2800 N. Glendale Blvd (where Glendale meets Rowena), imploring supporters to come to tomorrow's City Council meeting and convince the Cultural Heritage Commission to protect it (an earlier Metblogs' post referenced an Art Deco design). Writes a very worried-sounding blogger at Metblogs: "If we fail, they will build a four-story office building on this tiny corner!" Wow, an office building there could be sort of interesting. Also, a heads up: The blog also reports that the owners are considering selling or leasing the property. So this gas station could be yours.